The weirdest crime from last summer looks like it’s happening again. The '1' at Craig Barbieri's home was yanked off, and he put up a makeshift replacement. May. 30, 2017, 12:20 p.m. Does South Philly have its own sloppier version of the address-number-stealing Binary Bandits? Let’s go to the video! 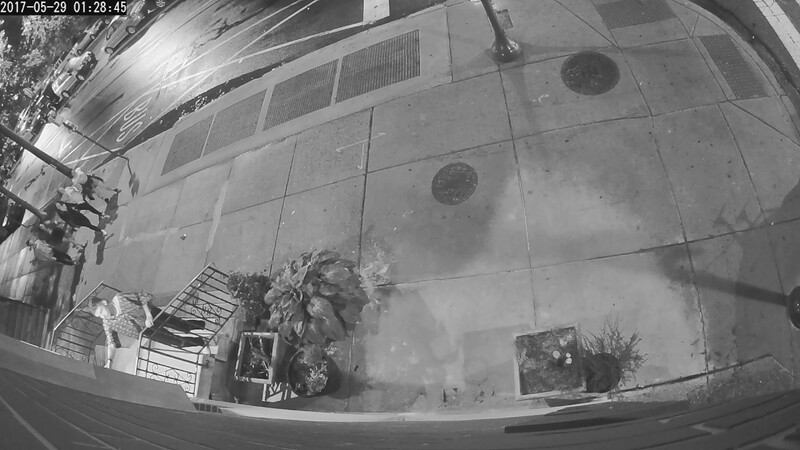 Overnight Sunday, a group walking along South Broad Street yanked the “1” off 1501 S. Broad (they didn’t take the “0”), and resident Craig Barbieri caught the theft via security cam. In it, a man identified as Brian separates from five other people and takes down the number. Barbieri is not the only one with numbers missing in the area. The block directly north of him contained several houses without address numbers. 1401 Broad Street, for instance, was missing the first “1” and the “0” but not the last “1.” A couple doors down, all four digits of an apartment building were gone. Two residents who had been out of town for the weekend noted the numbers had previously been there. Along the 1400 block a total of four houses had at least one digit missing and then yet another house was missing numbers on purpose. The owner noted she’s never had her address displayed. This is South Philly. In East Kensington last year, the Binary Bandits stole dozens of numbers off houses, always “0s” and “1s.” The police never caught the culprits, but 83 numbers were dropped off at the home of Meghan Haley, who first released footage of the Binary Bandits. If the same group from Barbieri’s video had taken down these other numbers on South Broad, they apparently lack the organization and the sophistication of the Binary Bandits. The 3rd District police said it had not received any reports about stolen address numbers. Barbieri said he planned to report the theft today. “I guess I didn’t use enough adhesive,” Barbieri said. Just from sharing his story and video on a South Philly listserv, Barbieri has received a few tips so far. None have been too helpful yet.